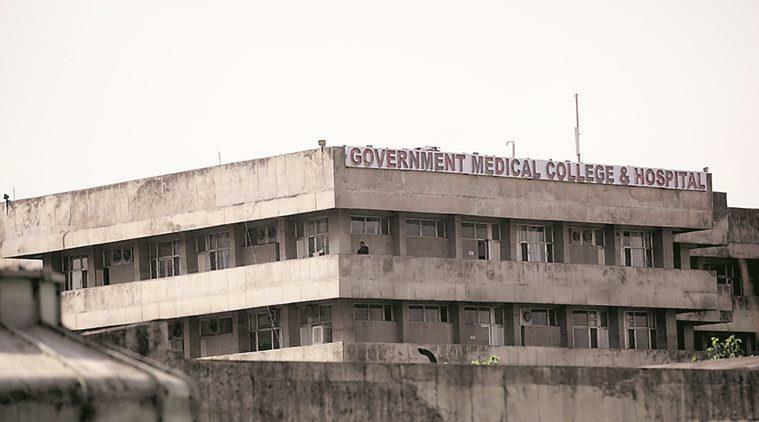 JAMMU: In order to prevent the frequent disruption of healthcare services in the premier Government Medical College and Hospital (GMCH) thanks to numerous strikes held by paramedical staff including the junior and senior doctors over various issues, the hospital administration has prepared a backup plan, inviting retired doctors to volunteer in such situations. The Hospital authorities have put out a formal notice in this regard, after the State Human Rights Commission (SHRC) directed it to work out a “reserve” action plan to meet the situation. Even as the healthcare sector of Jammu & Kashmir has made various advancements in terms of development of infrastructure and medical education in the last few years, the status of patient-care at the government run hospitals remained a challenging task for the concerned authorities in the State, especially when the paramedical staff including the junior and senior doctors goes on strike in protest over confronting issues. Strike by doctors though is not a common phenomenon at the Government Medical College & Hospital (GMCH), Jammu, which is thronged by hundreds and thousands of patients every day from different parts of the region for want of specialized treatment and whenever there is a strike, they (patients) face highly odd situation finding none to serve there. In such circumstances, the most pathetic situation is witnessed in the main Emergency Ward and the Out Patient Departments (OPDs), where after their arrival the patients find no way out and remain stuck for days together in wait for end of doctors’ strike. Taking Suo-Moto cognizance of such circumstances, which usually adds to sufferings of the patients at the hospitals, particularly at the Government Medical College & Hospital, Jammu, the Jammu & Kashmir Human Rights Commission (J&K HRC) passed directions to the concerned authorities to work out a “reserve” action plan to meet the situation. In reference to this J&K HRC directive, the Government Medical College & Hospital Jammu authorities issued a notice recently inviting retired doctors, who are permanent residents of the State to work on voluntarily basis without payment / remuneration or any financial implications on the State ex-chequer during the strike of doctors including Senior Residents and Faculty, so that the patients may not suffer and the potential inconvenience caused to the patients during such strikes of doctors be avoided besides routine and Emergency services could be run smoothly. As per the notice, the retired doctors, willing to serve without any remuneration during strikes, have been asked to submit their MBBS / MD degrees, State Subjects (Permanent Resident Certificate), Superannuation Certificates and contact details so that as and when required, they can be contacted to utilize their services. When contacted for her comment over the issue, Principal, GMCH, Jammu, Dr. Sunanda Raina informed The News Now that on the directions of J&K HRC, she has issued a public notice, whereby retired doctors of the State have been invited to volunteer their services, especially during strikes by serving doctors in the GMCH. “We will report back to the J&K HRC after due course of time with response to our invitation,” she added.